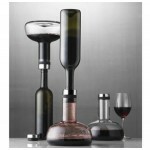 Menu Wine Breather Decanter (P/N 4680069). 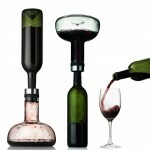 In less than 2 minutes, aerate and decant an entire bottle of wine with a dramatic, hands-free cascade. Serve and store your wine from the decanter, or turn upside down and use the original bottle to serve and store the wine. 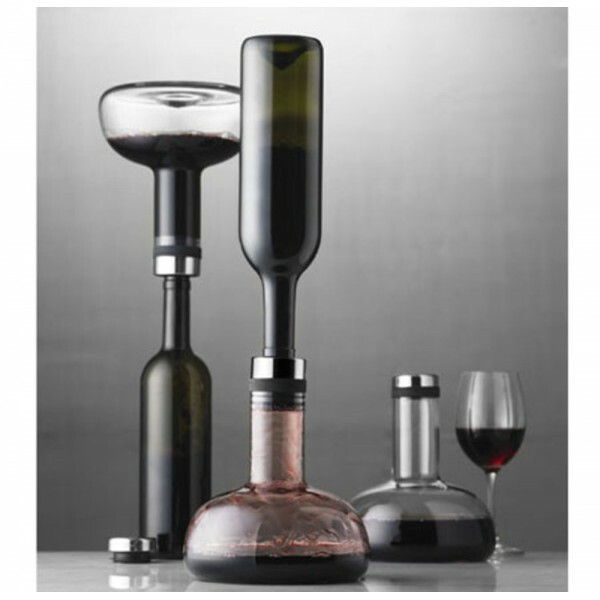 Made from lead-free glass. Watch the dramatic cascade of wine on the decanter walls as you empty an entire bottle.